When we are on the mainland, the conversation never fails to come up: Should we consider moving? There are so many pro’s to that idea: we’d be closer to family, lower cost of living, so many more opportunities for kids and school and travel (and we won’t even start on Trader Joes or other details…) There are great people and churches and awesome things over there! But then I get home, and wake up to this. It’s quiet. There are uncrowded beaches. (I was caught off guard last night realizing again how much of our drive home from the airport is 2-lane country roads.) And though we drive beach-mobiles, full of sand (and more than a few friendly cockroaches) not fancy cars…and though electricity and milk and bread cost 3X as much here, and though we can’t take road trips or go to Ikea…our simple island life seems to suit us just fine. In my dreams we’d have a home on both sides of the ocean, but for now I’m just being thankful. Thankful that we get to enjoy some sweet time in California, and then that we can return to this place we call home. PS I’m sure someone out there relates to these little home/family/life mind games…feel free to share yours! But really, I think this is a ponder-worthy topic. Where you live and raise your family is a big deal! And there are many factors that play a role in this: From the neighborhood and community you are in, to the climate, nearness to family/friends, and much more. Your home is where memories are made. Character is developed. Bonds are built. In the end, most people agreed that it is fun to dream, but there really is “no place like home.” And one of my favorite comments came from my friend Megan, a new Mom in Seattle who said “Home is where family is.” I couldn’t agree more. I enjoyed this conversation so much, I wanted to continue it here. I know I have blog readers from all over the world. (I’ve literally discovered new countries through my blog readers, which may be more an indication of my poor geography knowledge than anything, but it’s still super fun!) So now, I’d love to hear from you! Would you comment and share where you live, and how you have made that place home? Is there somewhere else you dream of living? Why? How do you find contentment where you are? Wisdom and encouragement for others are always welcome here! 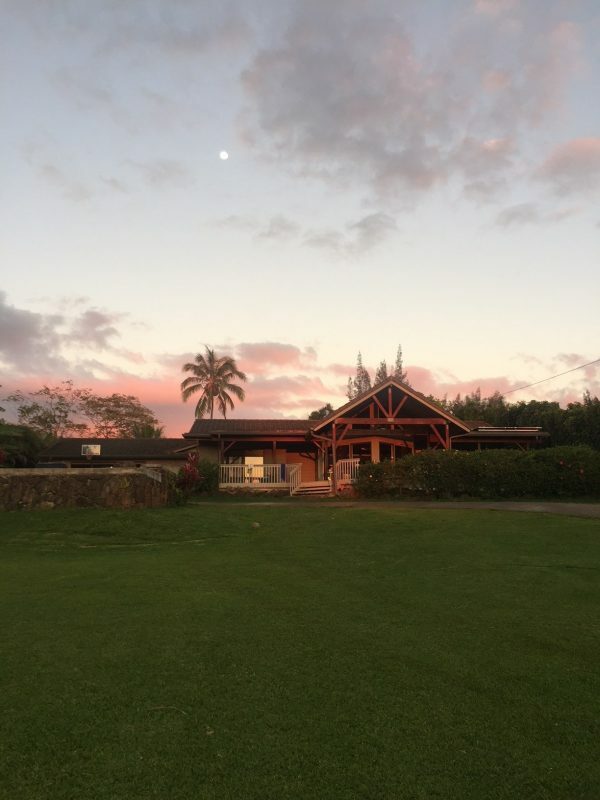 PS Because I get a lot of questions about raising a family in Hawaii, I am long past-due to share a blog post on that topic. Later this summer/fall I will be doing a bit of a blog-makeover (yay!) and hope to add a few links for people planning trips to Hawaii or curious about life here. Let me know if you have any specific questions you’d like me to address then! Just found your blog. Already I love it! I have 3 boys and a girl and 2 years ago we moved from Portland down to Ventura (South of SB) for my husband’s job…but really the Lord led us here. We sold a large house and now live in a small apartment that we rent but the peace we have from following the Lord’s will and knowing we are exactly where He wants us is unreal -and it’s home to us! We gave up a lot when we moved down here and people scratch their heads wondering why we’re happy in an apartment living the life we live but really I have to pinch myself everyday because I can’t believe life can be this good… but the reality is it’s because I serve a God that’s good! oh soooo good for you Kari!! I love it!! I’m so happy for you. 😉 You will see if you catch up on my posts that I just took my son to Westmont college and we have good friends in Ventura (who we stay with when we are there!) I love that area! My son is going to Reality Carpenteria church. Blessings to you and your sweet family! Please keep in touch. (Be sure to subscribe if you haven’t so I can keep up with you!) Aloha! We live in Colorado and have so for three years. We moved here when we had two teen boys and two elementary schooled children from Minnesota. Minnesota was becoming a place where our family was seeing the effects of the harsh weather mostly by an increased commute time for my husband (think snow and ice for half the year – construction in the other half) and constantly navigating ice with a disabled child. We always had in the back of our minds that we would like to live surrounded by mountains, so we made a change. It has for the most part been a very good change although there are things we would change if we could. I find contentment by being thankful. Our home in Minnesota was a place where I learned to be thankful for what we had. Honestly, it surprises us we stayed there so long, but we were content. I’m so thankful for the weather and sunshine in our new location that I can forget about the negatives. Like you, we live in a place where people come to vacation. As far as we know, we’re here to stay. It’s never going to be perfect, but I don’t expect that in this world anyway. I love this post! Two things came to mind when I read it. First, Every time I read your posts, i think of how much I adore the beach and would move there in a heart beat! It’s so beautiful and I’m glad you’re blessed with that beauty. The second thing is I spoke to my boys just in the past two weeks about possibly moving and the response was “no way!” There is such a special bond with the home you grew up in. Thank you for your insight and kind words. Great post! I live in Truckee, CA (near Lake Tahoe) with my 3 boys. It’s unbelievably beautiful here, but we do often dream about moving, especially during our epic snowstorms! In fact, we sold our house last summer with the intention of leaving, but God had other plans for us and we just bought another home that we don’t plan to leave for a long time! We are trusting God has us here for a reason, even when we can’t see it! 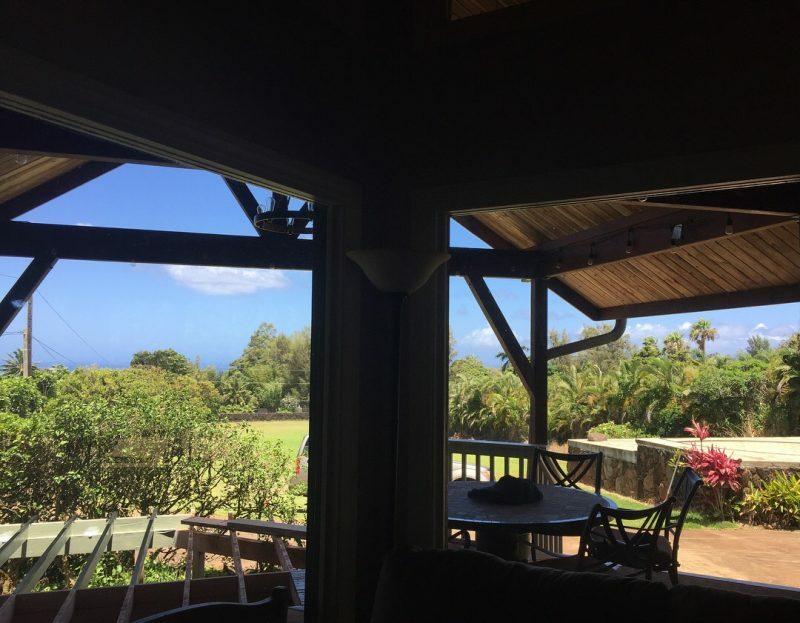 My husband said if you’d ever like to trade homes he’d be more than happy to move to Oahu! Thanks for your blog—I look forward to it every week! Just suffice it to say, you are blessed and lucky to have those as your choices. Enjoy it, both places whenever you can. Your season Hawaii or CA and deciding where to stay or not is completely in your control. You can have it both ways, just a matter of what you want to do for it. You’re so right Rhonda– the grass is always greener!! 🙂 And yes, if you took me away from Hawaii no doubt I’d long for the sights, smells and feelings I have here daily. 🙂 Please do reach out when you’re here–Let’s try to have coffee this time!! Love this, very relatable. I’m originally from Orange County then lived in Kaua‘i and later in Washington for 11 years. 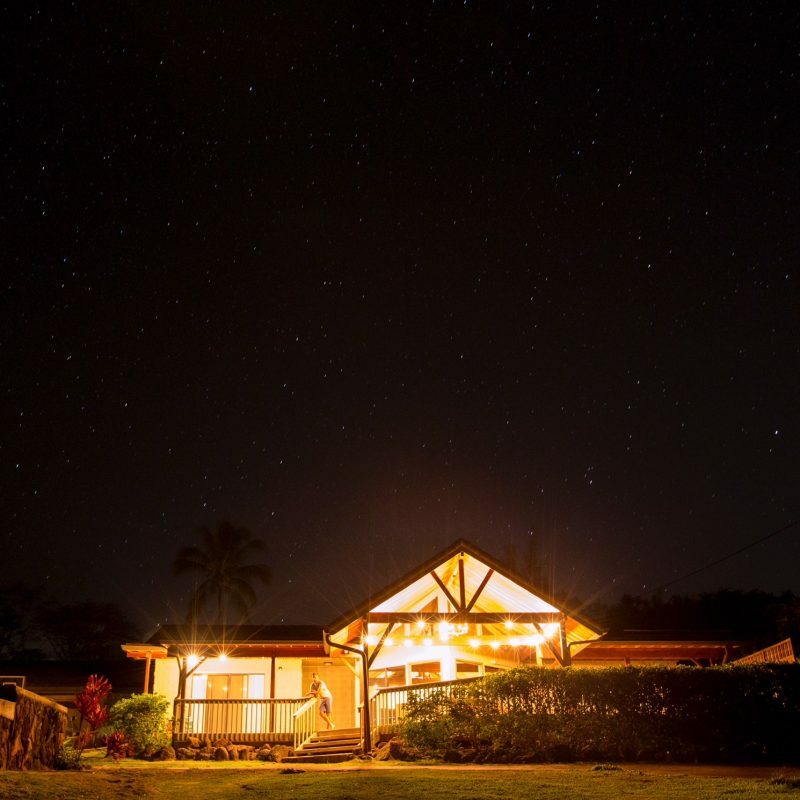 We recently moved back to Kaua‘i to make it our permanent home forever. As much as I love Hawaii life and know it’s the best choice for our family on top of it being our dream come true to be blessed to live here I sometimes second guess our decision. Being a California girl and enjoying everything that it entails I can’t help but miss it sometimes especially when visiting the mainland. But knowing I always have Hawaii to come home too really is the best of both worlds. We plan to soon downsize. Our second son leaves for college this fall. It will still be here in town, and still have a bedroom for each of them, but lose the extra space that we are heating and cooling and cleaning! Once we do that, we can build a little cabin on our land outside of town and spend weekends up there! Can’t wait!